On our quest to map out the best Mai Tais in Waikiki, we would be remiss if we didn’t include a stop at Moose McGillycuddy’s, a casual establishment on Lewers St. that always has a welcoming atmosphere. Moose’s shrugs off the tropical vibes of local bars—no menacing tiki statues or aggressively vibrant floral patterns. Instead, Moose’s creates a presence all its own. From the bay-door street side entrance, guests are greeted with an eclectic collection of brick-a-brack adorning the walls; goofy photos of the owner’s dog, vintage posters, a giant moose head, an autograph from Man v. Food’s Adam Richman… you know, the usual stuff. Lower right: Adam Richman, of Man v. Food fame. Upper center: the titular moose, silently judging patrons with its unblinking gaze. Early on weekdays, it’s never too crowded, and you’ll usually only find a few locals sharing a drink before the sun sets. Of course, that means you can expect quick service, plenty of seating and a generally calm atmosphere. Moreover, the music is set low, which creates something that is nothing short of a miracle: a bar you can actually have a conversation in! Not needing to shout at full volume just to say “Hi” to the person sitting next to you scores Moose’s huge points in our book. Plenty of counter and table seating available, and everyone knows your name (not really, but they’re still pretty friendly). Readers should bear in mind, though, that this is not always true late at night and on weekends, when the upstairs area of Moose’s opens, turning the typically peaceful bar into one of Waikiki’s most popular night clubs. That’s awesome in its own way, as long as you’re aware of the difference. 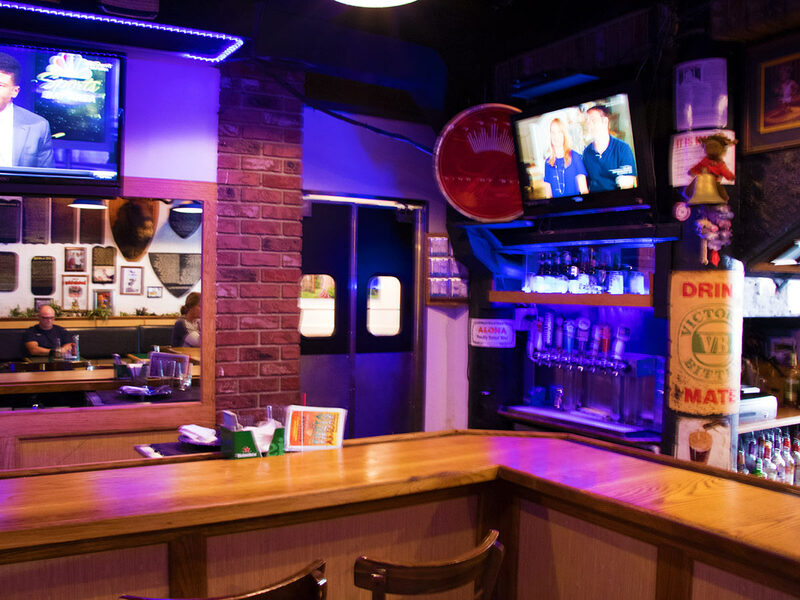 In most cases, you’ll want to get to Moose’s early anyway, as they feature a pretty amazing happy hour the likes of which you won’t easily find elsewhere in Waikiki. $3 beers in Honolulu? A surprise to be sure, but a welcome one. From 4:00 PM to 7:00 PM, Moose’s dishes out some of the cheapest drinks you’ll find anywhere on Oahu, and not just bottom shelf fare, either; their draft beer menu includes craft options like Big Wave Golden Ale, Longboard Lager & other local favorites, and their specialty cocktails are all worth a try. 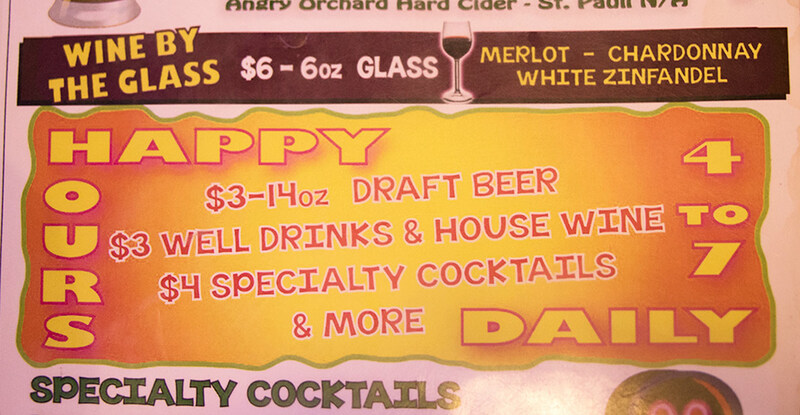 In addition to drinks, Moose’s also has daily specials on food that rotate throughout the week. Check out the full list of deals at Moose McGillycuddy’s below. But how good can a $4 cocktail be, really? To get down to brass tacks, you’re paying for a drink that cost you only a little more than the bus fare that brought you to it; but if your expectations are within reason, then Moose’s Mai Tai is definitely worth it. The Mai Tais served at Moose’s are a modern take, meaning they mix fruit juices (in this case, mostly pineapple) with light and dark rum. The dark rum is floated on top to give it its characteristic look, and each glass is garnished with a wedge of pineapple and a maraschino cherry. The flavor is sharp and acidic, and the sweetness of the juice obscures most of the flavor of the rum. That’s not necessarily a bad thing in this case, as the bite of the rum can be intense if you’re not prepared for it. Moose’s Mai Tais are not to be trifled with; the syrupy fruit juice concoction in the lower hemisphere of the glass lets each sip go down smoothly enough, but drop your guard and you’ll be picking yourself up of the bar floor in no time. Take this advice to heart: I am no lightweight when it comes to cocktails. I spent the formative years of my youth in Wisconsin, one of the only places in America where bars outnumber grocery stores by a staggering ratio. Yet, after four of Moose’s Mai Tais, I’m ready for a complex and arduous stumble home. Drinkers with less confidence in their alcohol tolerance should consider one of Moose’s other signature cocktails. Their Hawaiian Punch is a great compromise between flavor and strength. Moose’s Hawaiian Punch: Smooth, drinkable and will still leave you with the full use of your faculties at the end of the night. Cocktail enthusiasts seeking Mai Tai nirvana will not find it at Moose McGillycuddy’s. Nevertheless, casual guests looking to unwind and enjoy some genuine local friendliness coupled with unbelievably cheap drinks will definitely want to stop by. 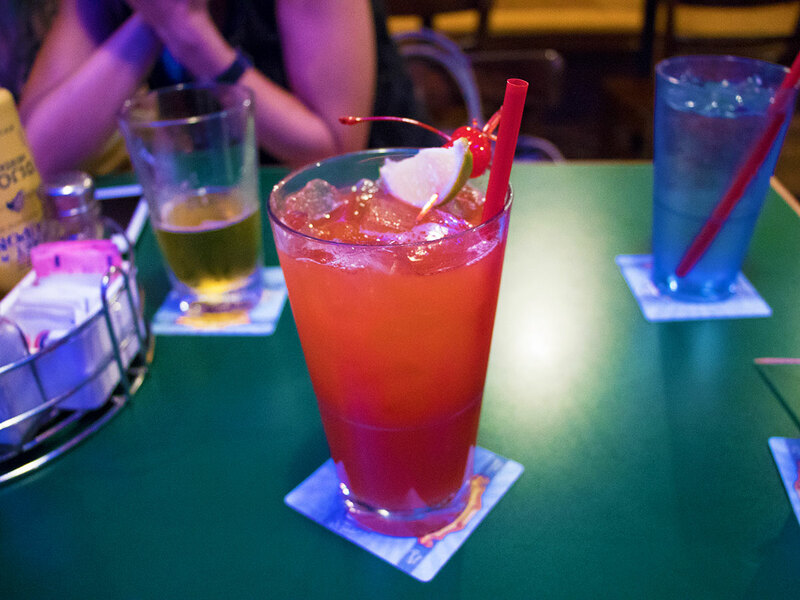 The punch packed by Moose’s Mai Tais makes them a great end to a long day, or the jump start to a fun night. Above all else, Moose’s Mai Tais can be enjoyed in an atmosphere that’s worth spending time in. That’s all for this segment of our Mai Tai quest. More to follow next week when we explore Duke’s Waikiki to try what we’ve heard is a top-notch version of the modern Mai Tai, utilizing local ingredients found right here in Hawaii. 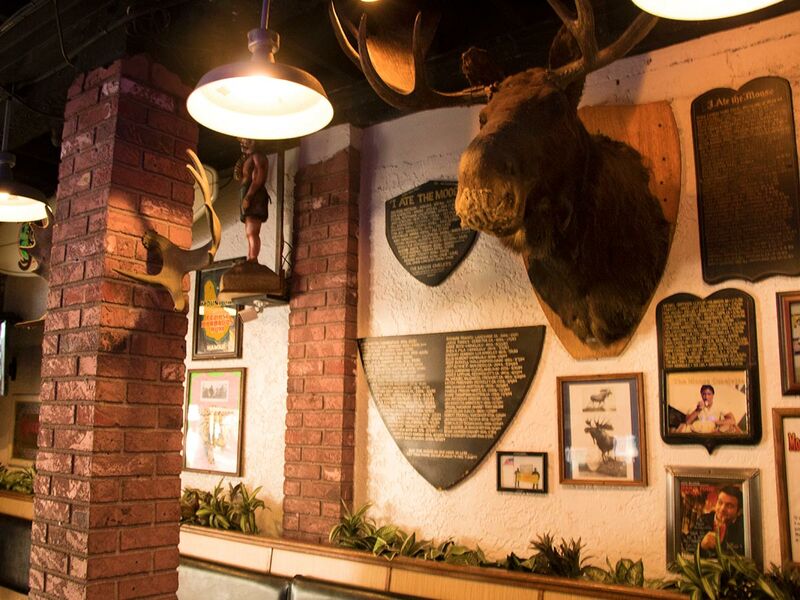 If you have your own opinion of Moose’s, we’d love to hear it. Drop by the comments section below to tell us what you think.